Mix all the ingredients to make a batter. Add more buttermilk, if required, to make sure that the batter is relatively thin. Keep aside for 30-45 minutes. Heat Dosa Tawa (Griddle) at high flame. Pour one large spoon of batter on it. Spread by gently rotating the Tawa. Switch to medium flame. Put 1/2 tsp oil over it. Within half a minute, it should be ready. Don¦t turn it over the Tawa. Roll it into cylindrical shape. Lift with a spatula. 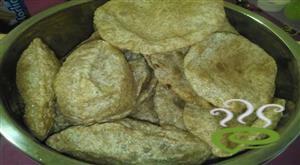 :-You can also make Masala Rawa Dosa by spreading Masala before folding it. 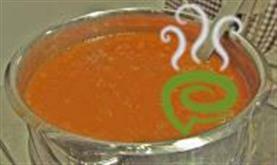 :-Serve the Rava dosas hot with Sambar and Chutney. thank you for the wonderful mouthwatering recepie.very easy to prepare also thanks a lot. 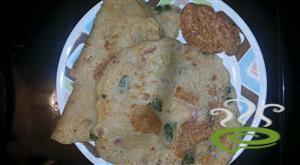 Thanks for the recipe.very easy and taste great.good job..
turns out exactly like the dosas we eat in the restaurant. tasts great. thanks a lot for the recipe. I loved it. Easy and Fast. 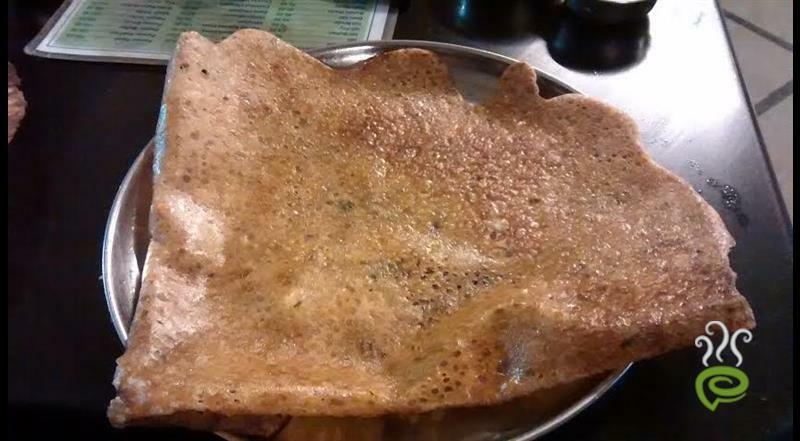 The dosas come out well, but never knew rava dosa had rice in it. I thought it was udad dal and even used to order and have it at restaurants on days when I do not have rice ! Anjali,Thanks for this recipe.It was very nice.I used to wonder how they make rava dosas in hotels .You answered .It tasted so well and I got apolose from my husband ,Good work.